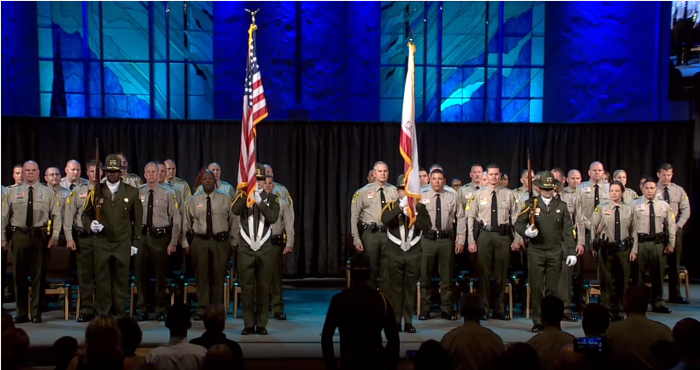 Please subscribe to the San Bernardino County Sheriff's Recruiting YouTube page and Twitter account to receive notifications on new videos and events! 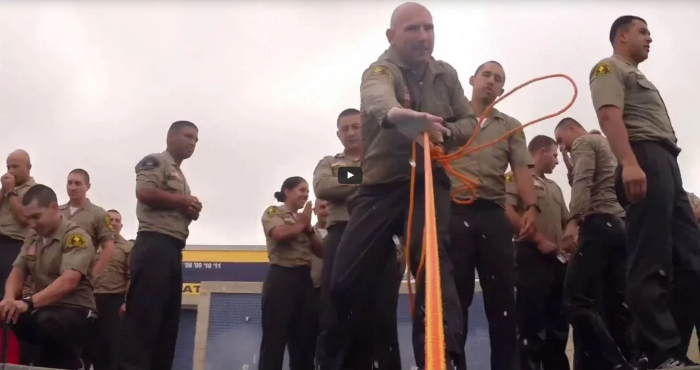 SBCSD Academy Class 208 - See a glimpse of what Academy Class 208 had to overcome. Congratulations to the graduates who stood tall on stage on December 14, 2017 and showed us how Strong and True they are to law enforcement. 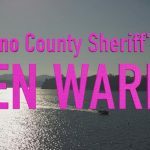 Women in Law Enforcement - SBCSD highlights some of our Women Warriors with our department. Do you have what it takes? Deputy Pedersen and K9 Smokey - See how Deputy Pedersen and K9 Smokey make great partners by keeping communities safe with the San Bernardino County Sheriff's Department. 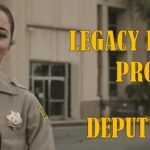 Legacy Internship Program - See why Deputy Aguayo chose to apply with the San Bernardino County Sheriff's Department. Our recruiters are here to help. 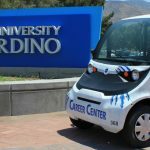 CSUSB Hiring Event - The San Bernardino County Sheriff's Department held a hiring event hosted by California State University, San Bernardino Career Services Department on Saturday, April 29, 2017. See how these Deputy Sheriff Trainee applicants pushed their way through the physical agility test and shined in their preliminary background interviews. 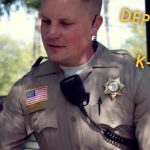 SBCSD Recruitment Ad - The San Bernardino County Sheriff's Department is always looking for motivated individuals who show integrity and leadership to help provide collaborative law enforcement solutions that meet the needs of our communities and partners by delivering quality professional services to America's largest county. Join the Legacy! 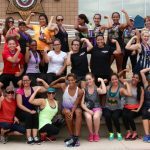 Women Warriors Challenge 2016 SEBA 5K & SBCSD Career Fair - The San Bernardino County Sheriff's Department Women Warriors Fitness Challenge partnered with the Public Safety Peer Support to bring awareness about peer support and counseling. The goal is to encourage women to challenge themselves and find the warrior within. Multiple presentations included hands on CPR, blood pressure readings, BMI readings, and information regarding law enforcement career opportunities. 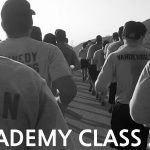 The Co-Ed 5k Fun Run took place with the San Bernardino Sheriff's Academy Class 203 and the Modular Academy Class. Take a look back at the 2016 Women Warriors Challenge. Benefiting the Public Safety Peer Support Association; Mind - Body - Spirit. 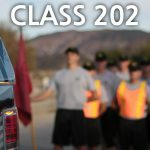 Sheriff's Academy Class 202 - View why Class 202 deserves to walk down the isle and graduate from one of the top rated, well respected academy training facility in the nation. Congratulation to those brave men and women who trained hard to keep communities safe! Sheriff's Academy Class 201 - Congratulations to the San Bernardino County Sheriff's Academy Class 201 on their extraordinary accomplishment! This video shows that with hard work and dedication, you too can fulfill your life long dream, be a part of a family and have a rewarding career. 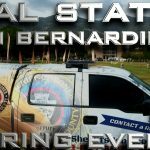 CSUSB Hiring Event - The San Bernardino County Sheriff's Department conducted a hiring event at California State University San Bernardino on May 20, 2016 for Deputy Sheriff Trainee, Lateral and Pre-Service applicants. The event allowed attendees to apply, take the written test (for Deputy Sheriff Trainee position only) and physical agility test. Applicants who received competitive scores were interviewed by a background investigator. This process typically takes months to complete. However for this event, top applicants were able to complete this process in just one day. 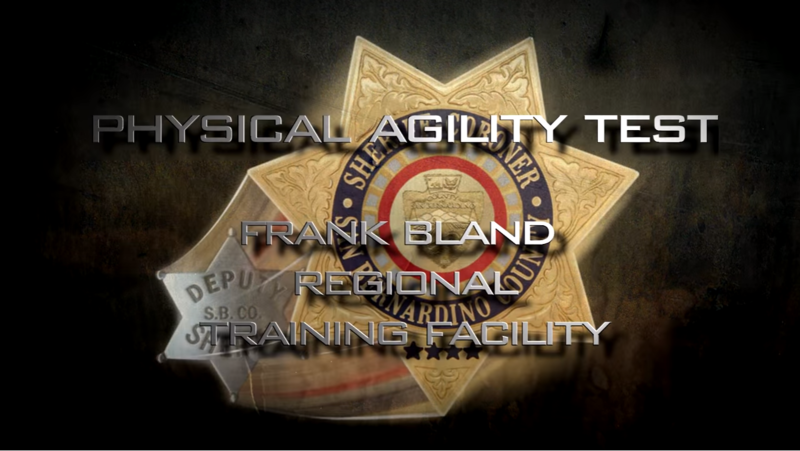 Physical Agility Test - The San Bernardino County Sheriff's Department's Training Academy is certified by California's Peace Officer Standards and Training (P.O.S.T.). 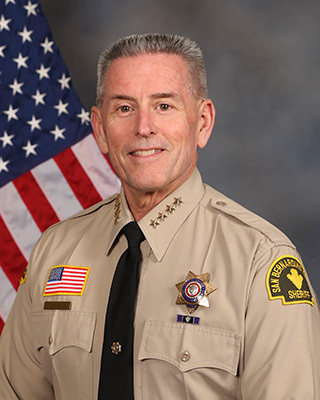 The purpose of the physical agility is to assure the department that the applicant has sufficient endurance, strength and agility to perform physical tasks similar to those that could be required of a Deputy Sheriff. 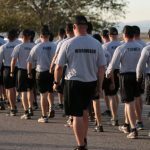 The physical agility test is the exact test required to pass the Sheriff's Academy. The physical agility test consists of five events which is scored on a "total points" basis. All applicants must accumulate enough points to meet the minimum passing score. Sheriff's Academy Class 200 - Take a look at what Class 200 conquered during their training at our Frank Bland Regional Training Center. Do you have what it takes to be a part of the San Bernardino County Sheriff's Department? Join the Legacy! 2015 Women Warriors Health & Fitness Event - Check out some of the highlights from this years Women Warriors event benefiting the American Heart Association and be sure to come out to the next one to experience it for yourself!